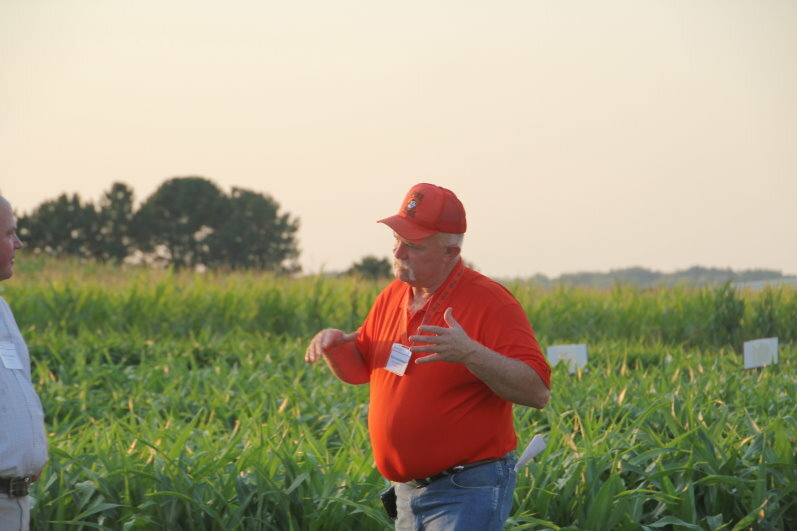 Crop conditions across the Panhandle and northwestern Oklahoma this year have not been much better than last year, but Rick Kochenower, OSU Extension area agronomist based in Goodwell, says production this year has been marginally better. He spoke with Ron Hays at the 2012 Great Plains Canola Conference at Kansas State University. “Our irrigated corn, for the most part, is going to be pretty decent this year. We had some guys that had well issues and that kind of stuff. We’re not having the massive loss like we did last year. We just didn’t have those temperatures of 114 and 40 mile-an-hour winds to kind of cook everything like we did that one day last year in June. So, actually, the outlook for the irrigated corn is probably an average crop or slightly above. “Dry land production out there on sorghum there’s going to be some spots that actually got a rain. And then, for the most part, it’s going to be a write off on the dry land sorghum this year out in the Panhandle. He said moisture is an issue as wheat planting time approaches, and most producers are hoping for a rain before they sow. Kochenower said irrigation has not been as big a problem this year as in 2011. He said some producers last year couldn’t pump enough water to even approach normal yields. Producers adapted and lower overnight temperatures this year have helped. He said some growers changed crops or dropped to producing half circles of corn, lowering their need for water during the summer. He said many producers are looking to rotate into sorghum or cotton to diversify and better cope with varying weather conditions. Kochenower said that one of the things he’s learned with his crop trials over the last two years is that drought tolerance and heat tolerance are not necessarily intertwined traits. Kochenower cut his earliest trial ever in Tipton on July 30th this year. He cut his corn trials on the 1st and 2nd of August in north central Oklahoma. The trial near Enid had slight over 100 bushel corn where they had some rain. “The trial at Ponca City was basically a failure. We had a 12-inch rain event there in April and didn’t get another rain on it until I harvested, so yields there were not very good. Kochenower said he did get to cut all his grain sorghum trials this year and had a really good crop near Apache. He said test weights were an issue for sorghum in northwest Oklahoma, but his best test yielded about 70 bushels per acre which wasn’t bad given the conditions. He said prices have held up well this year, and 2012 has been better overall for producers than 2011. Click on the LISTEN BAR below to hear more from Rick Kochenower. Ron Hays talks with Rick Kochenower about Panhandle crop trial results.